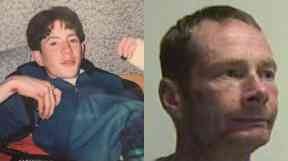 Malcolm Kelt identified as suspect in death of Darren Birt in Glasgow 17 years ago. Darren Birt and suspect Malcolm Kelt. A convicted killer who was a suspect in a 'forgotten murder' 17 years ago has been jailed for a violent assault that left his victim severely injured. Malcolm Kelt, 46, was handed a six-year jail sentence at Edinburgh Sheriff Court for punching and kicking the man's head and body and stealing his mobile phone. He was also convicted of carrying a knife, threatening a witness, breach of bail and causing a disturbance in a police cell. 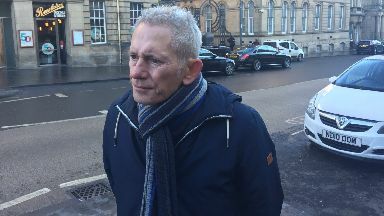 Sherif Robert Weir told Kelt that the crimes showed "a return to violent behaviour" with background reports saying he "presents an ongoing risk of harm to the public". 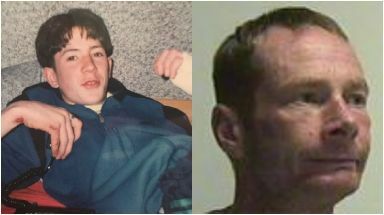 STV News can only now identify Kelt as a suspect in the murder of Darren Birt, 22, who was beaten and stabbed to death in a Glasgow street in 2002. Kelt was arrested and charged with the murder along with two other men but the case was dropped. At the time of Darren's murder, Kelt had been released early from a ten-year prison sentence for killing another man with a sickle in a nearby street. Darren's father Brian Birt, 62, was in court last week to see his son's suspected killer for the first time. And he hopes that Kelt's latest conviction will prompt Police Scotland and the Crown Office to take a fresh look at his son's case which is classed as 'unresolved' - which means detectives think they know who did it but there has been no conviction. 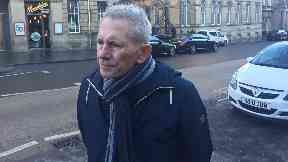 Brian - whose fight for justice was reported by STV News last month - said: "I came to court because I wanted to see the man who I believe was involved in my son's murder. "Even if Kelt did not kill Darren then I am certain he has knowledge of what happened that night. "I don't expect him to do the decent thing and provide information but I hope the authorities will now commit proper resources to investigate this forgotten murder. "It was horrendous seeing him but I feel that it was an important thing to do as I have made a vow to Darren that I will not rest until I get justice for him and our family." Robert Findlay and Darren Birt died just streets away from each other. Darren was stabbed in the back, struck with hammers and left to die in Calvay Place, Barlanark, Glasgow, in 2002. Kelt was one of three men arrested and charged but never prosecuted. 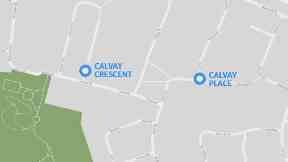 A decade earlier, in 1992, Kelt killed Robert Findlay, 23, with a sickle in nearby Calvay Crescent. Kelt was aged 20 when he was jailed for ten years in 1993 after admitting culpable homicide. The victim died instantly when the sickle cut through his heart and lung. Police investigating that killing found a haul of weapons including a hatchet, swords, knives and sickle. Brian added: "Kelt was convicted of using a sickle to take a man's life 27 years ago. He was then released early from prison and was free when Darren was killed. "Here he is getting sent back to prison for offences including carrying a knife and a vicious street assault. "It is clear that he is a violent and dangerous man who the sheriff said poses a risk to the public. One day I hope to see whoever killed Darren in the dock and finally brought to justice." Last month STV News told how Brian regularly visits his son's murder scene where he speaks to him and vows to keep fighting for justice. He and Darren's mum Anne accused the authorities of not doing enough to secure a conviction and lacking transparency in their decision making. They also said the nature of his son's case, and lack of publicity, meant that it did not receive adequate investigative resources which is denied by Police Scotland. The Crown Office declined to comment following Kelt's jailing but previously said they recognise the anguish suffered by those who have been denied justice and that Darren's family would be informed of any developments. Police Scotland said "the potential for new investigative opportunities are regularly assessed". Killer Malcolm Kelt was convicted of five of nine criminal charges he faced. Before the trial began at Edinburgh Sheriff Court, a deal was struck which saw him plead guilty to three charges with three dropped. He admitted breaching bail by approaching a man and a woman by banging on a flat door in Lower Granton Road, Edinburgh and causing a disturbance by threatening to defecate in a police cell. He also admitted breach of the peace by shouting violent threats at another woman. Prosecutors agreed to delete the word 'sexual' from that charge. Of the three dropped charges, the first was a breach of the peace at Edinburgh Royal Infirmary and another stated that he forced open a hospital security door in a bid to escape from police. The third was that he breached bail conditions by contacting a woman in Edinburgh. When the trial began, Kelt faced three charges but he then changed his not guilty plea for carrying a knife in Lower Granton Road to guilty. Prosecutors then dropped another charge of breaching the peace by acting aggressively, shouting and swearing. Jurors then had to decide on the one remaining - and most serious - of the nine original charges. The court heard that Kelt, while on bail, carried out a violent attack on John Millar last July on Wardie Steps in Edinburgh. He kicked him on the head and body, causing him to fall down steps and then continued to kick and punch him and robbed his phone. Miller told the court: "I haven't been able to work since the incident. I can't pick up my children, I can't carry shopping, I can't use my right arm properly." On January 17, the jury found Kelt guilty. Brian Birt came to court to see Kelt's sentencing on January 31 but it was delayed until today. Sheriff Robert Weir gave Kelt a six year prison sentence for the assault and 32 months for carrying a knife. The sentences will run concurrently and are backdate to last August when he was first held on remand. He also imposed a two-year non-harassment order on Kelt to prevent him from contacting two women.